The Second Judicial District Commission on Judicial Performance, on a vote of 9-1, recommends that Judge Sheila Ann Rappaport BE RETAINED. If retained, the Commission unanimously recommends that Judge Rappaport enter into an improvement plan. Judge Rappaport voluntarily has agreed to enter into such a supervised improvement plan. The governor appointed Judge Rappaport to the Denver District Court bench in July 2000. 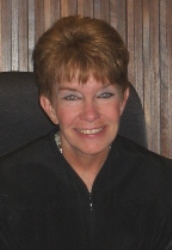 Judge Rappaport earned her undergraduate degree from the University of Colorado at Denver and her law degree from the University of Denver. Before becoming a judge, Judge Rappaport served as Deputy Denver District Attorney. Judge Rappaport engages in legal and non-legal community service activities, through her religious community and volunteer commitments. In the past, she has served the community through the Rocky Mountain Children’s Law Center, Denver Public Schools Options Tutoring Program and Mt. St. Vincent’s Home. During the current period, Judge Rappaport has presided over civil, criminal, and domestic relations courtrooms. She currently presides over domestic relations matters. The Commission reviewed lawyer and non-lawyer survey results, Judge Rappaport’s self-assessment, and three of her written opinions. Selected members of the Commission observed Judge Rappaport in court. The Commission then interviewed Judge Rappaport. Of attorneys responding to the survey, 78% recommended retention, just 6% recommended against retention, and 18% expressed no opinion. Of non-attorneys responding to the survey, 95% recommended retention and 5% expressed no opinion. None of the non-attorney respondents recommended against retention. Judge Rappaport’s survey results revealed an overall combined average rating above that of the combined rating of all judges standing for retention. Reviewing the survey results, the Commission has concerns related to Judge Rappaport’s familiarity with and knowledge of the underlying law in civil proceedings. The Commission also has concerns over Judge Rappaport’s reluctance to adopt courtroom technology. As Judge Rappaport is not presiding in civil court at the moment, the Commission believes she has ample time to supplement her knowledge of the law in that area and also has recommended Judge Rappaport gain greater competence in the adoption of and use of courtroom technology. Judge Rappaport soared above the average of all district judges in non-attorney survey ratings. The Commission notes that Judge Rappaport’s survey results from non-lawyer participants appearing before her and sitting on juries in her courtroom are very positive. These positive survey results were confirmed by courtroom observation of Judge Rappaport’s good judicial temperament and respect for participants.